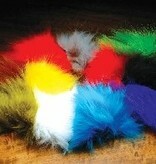 Arctic Fox Hair is a soft, lively hair used on small streamers and salmon/steelhead flies. 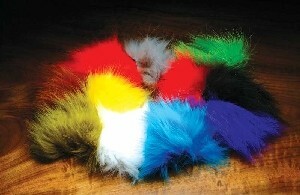 Since it is more durable than marabou, substitute fox on patterns such as buggers. Each piece of material has a nice blend of lighter, longer guard hairs, and shorter, darker under hair. Fox also compresses well keeping bulk to a minimum, making it a great for wings on tube flies.